Our bones support us and allow us to move and protect our brain, heart and other organs from injury. Bones also store minerals such as calcium and phosphorous that help keep our bones strong. However, bones can become weak and break (fractures) or become porous and brittle (osteoporosis). There are many things that can help keep our bones healthy and strong, and the good news is that it is never too late to take care of your bones. Osteoporosis means “porous bone.” It is often called “the silent disease” as bone loss occurs without any symptoms until testing reveals weak, brittle bones that are more prone to fractures. The U.S. Office of the Surgeon General reports an estimated 10 million Americans over the age of 50 have osteoporosis and another 43 million are at risk of this debilitating disease. According to the National Osteoporosis Foundation, there are risk factors for osteoporosis that cannot be controlled: gender, age, body size, family history and ethnicity. Females are more at risk for osteoporosis than males. Studies suggest that one out of two women break a bone — most often in the hip, spine or wrist — due to osteoporosis. Healthy bones need the mineral calcium. 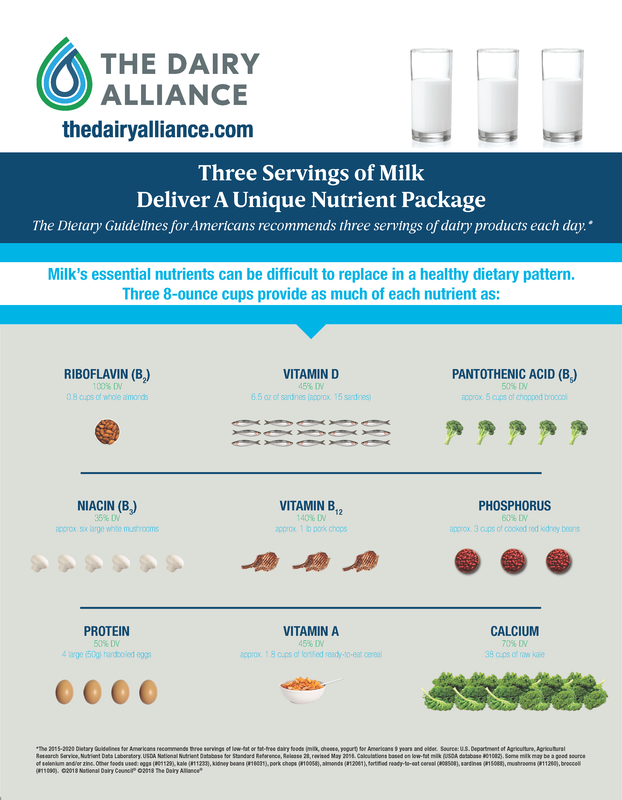 The best food sources of calcium are milk, yogurt, cheese, fortified cereals and dark green leafy vegetables. 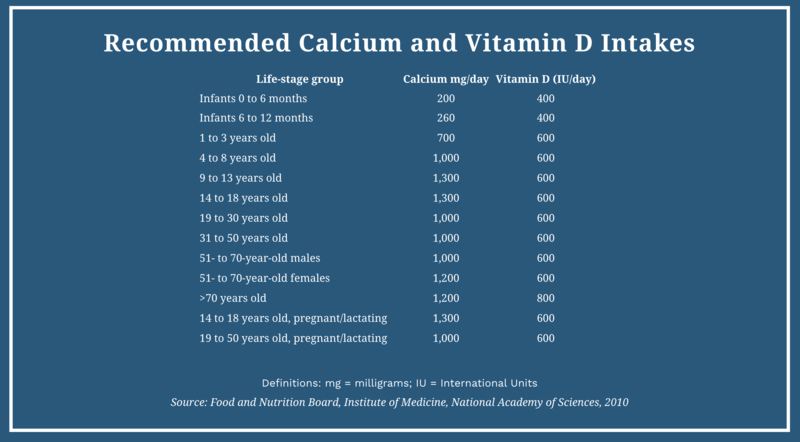 The Academy of Nutrition and Dietetics recommends three servings of calcium-rich foods every day for children ages nine and older to maintain bone health. Sunlight: Being outside in sunlight about 15 minutes a few times a week helps the body to make vitamin D.
Fortified milk: Most milk today is fortified with vitamin D. One cup of milk provides a quarter or more of the daily requirement of vitamin D.
Foods: Only a few foods contain naturally occurring vitamin D: cod liver oil, egg yolks, fatty fish (e.g., salmon), and certain varieties of mushrooms (e.g., maitake and portabella) that are exposed to ultraviolet light. In addition to a diet that includes calcium and vitamin D, weight-bearing activities like walking, running, hiking, climbing, dancing and lifting weights are necessary to prevent fractures and maintain healthy bones. Aim for 30 minutes each day, most days of the week. It’s easy to improve your bone health with easy recipes that are great sources of calcium and vitamin D.